The Best Change Blog | Not just change – the best change. Just a few Questions in Four Areas..
a. Because it’s a long time, is my forever secure? b. Before I was conceived, what dream did God have for me? c. How might I too be called ~ a friend of God? a. Where do I want to go and how fast do I want to get there? b. Where am I and do I have a true assessment of all the areas? c. What’s my best Success Path and how can I stay on that Path? a. What role should Government play in our lives and why? b. How can we enable more to be Independent and Self-Reliant? c. What’s the best Pathway back to more Limited Government? a. In my life, what am I grateful for that I might not even realize? b. What good stuff would I like to leave behind for future kids? c. If my true Reward is in Heaven, how best should I live? In order to make the Mainstream Media Obsolete or to have them Change their Ways, there must be consequences for their bad behavior. Say they fail to report on a story (i.e. Benghazi-gate) or they doctor a 911 transcript to make the subject seem racist, viewers might heat up the phone lines for a while but they don’t seem to get the message. Right now there is little MSM accountability to the viewers. Why that is has to do with how they get paid. As most know, the MSM gets paid based on the number of viewers watching but I believe their “measurement model” is flawed. Pure Viewer numbers do not differentiate between an intelligent, successful married couple on a couch from three broke stoners on a couch; in fact, a pad with three broke stoners yields a 50% higher “Pure Viewership” rating. The MSM just wants the numbers. Consider this analogy: a mall that uses entry turn styles to measure mall traffic and then sets the lease rates based on these numbers – this is a flawed model. When an adjacent, once upscale condo complex degrades into low-income housing the turn-style numbers may actually increase and the mall manager may tout these increases as justification for an increase in rent. The model may not reflect it, but merchants know the truth, mall traffic doesn’t equal mall sales and the tape total doesn’t lie. With lease payments going up and sales going down – stores move out and the mall closes. The existing TV Viewership model is deficient and if “the premier company”, whose name is synonymous with TV Viewership does not change – it too will go the way of T-Rex. You might say that the extinction of the dinosaurs was “outside of their control” so the metaphor is misplaced. I would suggest that a truth unknown, yet still approaching, is also outside of one’s control and therefore it fits. Paradigm shifts are like that. Consider Eastman Kodak who once dominated the film industry with a 90% market share. Even though they invented key aspects of digital photography, they seemed to be the last to embrace it. Finally acknowledging that the market had in fact changed, they themselves became almost obsolete. With the legalization of marijuana gaining popularity, more TV Viewers are going to discover the benefits of sinking into their couch only to find that – all they have left is the change between their cushions. Sooner or later advertisers will demand sorting out the stoners from the spenders with a more precise viewership model. It is not a question of “if these changes will occur” but a question of, “Who will bring these changes about?” The answer might be with an upstart company named General Sentiment who is already addressing flaws in the Nielsen rating model in a big way. Watch a Fox Business Channel video interview of CEO Greg Artzt here. With a new, more precise viewership model in place, whether or not through Nielsen, General Sentiment or another company, the MSM better be ready; if they’re not, they too may learn that – they have become obsolete. Barak Obama has disgraced the Office of the President with his campaign and over the last four years – most recently with the events surrounding Benghazi. Barak Obama has a failed record of Dependency and Debt that has shackled Well-Capable People. Barak Obama and his minions have resorted to thug-like tactics in a desperate attempt to hold their selfish power while burning through the money of Future Generations. Many people have had enough – they want real change that solves real problems. We need jobs and to return Our Country to the land of Opportunity and Abundance. It is true that some People don’t care how close we are to going off a cliff, so long as THEY get their free-stuff – I hope you are not one of them. Common Sense reforms are working in Wisconsin and that is exactly what’s needed for America. Scott Walker is leading the way in Wisconsin and Mitt Romney is the right person to lead Our Nation. Strong leadership requires the support of the People. Ronald Reagan voiced the words but it was the People who tore down the Wall. Scott Walker put forth a plan but it was the People who voted (twice). Do your own independent research instead of being spoon-fed by the biased mainstream media. I think you will agree – Mitt Romney and Paul Ryan are the Best Change we can make. The behavior of many on the Left has reached new lows. The President has led by example with how he’s conducted his campaign. It was always apparent to some, and now apparent to many, he was paying attention to his radical preacher for all those years. We deserve better than to be subjected to this nonsense – especially our kids deserve better. It reminds me of a first-hand experience of Chicago thuggery that happened to me. I paid the $35. The guy with the booth next to me didn’t. He had a larger booth but the electrical complexity was the same – to plug in a few cords. The next morning I arrived early to see him very upset. It seems a forklift had been driven through and damaged his wooden transportation crate. I walked around the crate with him to see a nice size hole in the side of the crate about five feet up. He said he inquired about the damage but it was “a mystery” how it happened. What wasn’t a mystery was why, over the next few years, more and more people pulled out of that show – until the show was no more. People don’t like being shaken down but most pay the $35 like I did. Today though the cost is much more and people are lucky if “the value they get” amounts to the plugging in of three extension cords. Many are tired of it, and the tide is changing. Look at what happened in Wisconsin. Listening to some, you would have thought, the world was going to end. Wisconsin elected Democrats fled the State to Illinois in order to prevent a quorum for a vote. All kinds of boorish people camped out and trashed the area in and around the Capital. It looked ugly and it must have smelled pretty bad since many hadn’t showered in weeks. So that’s the state of our discourse today. What happened to the days where we could debate an issue civilly? Now, when good points are raised and the other side doesn’t have a rebuttal, they go on the attack, a personal attack – that’s crazy. Question: Is it too much to ask government workers to pay a small percentage of the cost for their own health care insurance or pension benefits, yet the share of what they pay is still much less than what private workers pay? Look at the behavior around the Wisconsin Governor’s private residence during the Capitol chaos; or look at recently with Hurricane Sandy, while some were still stranded and others just starting to recover, the Occupy Wall Street folks were celebrating the destruction. The rebuilding will proceed in spite of the Occupiers. The Common Sense reforms will be put in place but only when the people are ready. In Wisconsin, the people were ready, as evidenced by the recall vote – where more people voted for Walker than in his original election. What has been the outcome of the reforms in Wisconsin? You can research it for yourself to see that they have succeeded and they make so much sense. Having an employee be responsible for at least a small portion of their benefit costs means they are “invested in the cost” of those benefits. Absent that, premiums and/or other costs could skyrocket and what does the employee care? They still pay zero. With the reforms however, if the cost of benefits goes up, even a small amount, basic free market principles go to work to bring the costs down – workers put pressure is put on the benefit company and/or they look for alternatives. Insulating workers, public or private, from the free-market has significant consequences. Competition goes away. The incentive to improve goes away. Costs necessarily go up and quality goes down. Rewards separated or disconnected from outcomes (the results or the lack thereof) causes resentment (on both sides). Good performers are lumped in with the bad. Greatness is under-rewarded and the bad actions of a few continue to be tolerated. Good workers are dis-incentivized because it makes the average worker look bad. For those wishing to keep the status quo, it is understandable that they might fear being judged by standards put in place. In a truly free-market though, the rewards match the value brought to it. Perform ok – get rewarded ok, perform great – get rewarded great, perform not so well, there’s the door. Note: I should also mention that in Wisconsin the biggest reason, in my opinion, for all the fuss was not about sharing the cost of benefits – it was about giving the worker the choice to join or not join the union – how’s that for incentive to get “the big dogs” to pay attention to what really matters for the members. Not long after those words were spoken, the wall was gone. It may seem obvious but it’s easy to overlook the fact, Ronald Reagan did not personally tear down the Berlin Wall – the people did. The conditions were right for the people to do it for themselves. Ronald Reagan played a huge role but the people got it done. Russia has made many course-changing decisions since the Wall came down and some would say they are working to rebuild new walls – time will tell. As for us, we have a course-changing decision to make for ourselves. We have an opportunity and a responsibility to decide what direction America takes. This should not be taken lightly. I believe there are two paths, the path of Opportunity and Abundance or the path of Dependence and Debt. Which path will we choose? Opportunity and Abundance – or – Dependence and Debt. I believe Mitt Romney is the right person to lead us in a new and prosperous direction for all Americans. His character and experience are solid. He has solved tough problems, and while in government, he has done it in a bipartisan way. Do your own research, ignore the name-calling and spin. Together we can solve even the toughest problems and get this done. There has not been a new article on this site nor a single tweet since Obamacare was forced through. No help having come, dying on a rooftop, alone. We know hindsight is 20:20 yet even from that view, we can always find reason to be silent. Listening to the words of Tyrone Woods’ father, how can we be silent? I am not speaking of those quietly grieving for their own loss but to those we have entrusted with the responsibility to speak. Here it would be easy to rant about the silence of many in the media or the obvious lies and/or spin that may be out there so far. I will not waste your time here with what you already know or may choose not to see. You can judge for yourself who is silent and what their motives might be. With a small amount of effort you can fact-check the fact checkers to see if they are accurate and reliable. You can use the Internet to access the “raw data” used to report (or not report) on a story. Going forward you can decide who is trustworthy and who is not – in delivering the truth. Occasionally it’s useful to take off the partisan (red state – blue state) glasses and see the truth for what it is. Although some may wish to obscure the truth by disregarding it, denying it, distorting it and even trying to discredit those who might be carrying it, remember the truth is still the truth. Our Founders spoke of “self-evident” truths and Rights endowed by our Creator – another gift we are endowed with and sometimes take for granted is the ability to recognize that which is true. Let us use that gift between now and Election Day and also in our quest to get to the truth about Benghazi and that those “in the know” would have the courage to speak it. Acknowledgements go out to Catherine Herridge, Jennifer Griffin, Bret Baier and others from Fox News for their excellent Benghazi reporting and also to Lara Logan from CBS News and 60 Minutes for her speech at the 2012 BGA Annual Luncheon (click to view) and reporting on “what really matters” and the truth about al Qaeda in Afghanistan. Democrats claim they are being thoughtful, trying to decipher all that is in the Bill in order to make the Right decision. We know what’s in the Bill and how the Truth is being twisted and distorted. Republicans need to offer Democrats some help in the form of a Resolution that puts the President and Democrats on the Spot. The Resolution should List the Misstatements of Fact that have been made by the President and others. Paul Ryan and Others have already spoken about many of these things. What is most important is to spell the points out in PLAIN language that even a Geico Cave Man could understand it. Cost – Control – Constitution – Consequences. The fact of where our economy is, we cannot afford to borrow any more nor burden already struggling companies with more costs. The biggest cost is the Loss of Our Freedom. If you are not aware of the consequences, intended or unintended, of your YES vote – YOU NEED TO VOTE NO! Please read and understand before operating. Democrats likewise should read and understand the Resolution before voting because their vote cast is done with their Full Knowledge and Responsibility. The final choice is up to you. From conception to death, what is the average cost per person for heathcare? Don’t be embarrassed if you don’t know the answer – I don’t know the answer but I think it’s a fundamental question that we need to spend a little time with, to find real solutions to our healthcare problems. You could make a few calls, do some calculations, grab a number and rush to vote – the number is NOT the point, it’s about stopping the Pushing of an Agenda. [ii] Michele Bachman has sited the number additional IRS agents that will be hired and the cost to enforce the monthly Government requirements on ALL Americans – even those with Private insurance. [iii] In terms trying to implement and impose a Progressive based system and how decisions would be made using the scarce resources of Government. Simply site the Hillsdale College February 2010 Article of Imprimis by Paul Ryan. Just because some people have burned their toast, doesn’t mean the Best Solution is to connect all toasters to Washington. The question is not: Can we do it? – the most important question is: Should we do it? Even if we connect all the toasters to Washington, it’s still about making toast and like the delivery of Health Care, when it comes right down to it, it’s a local issue. It is about: How I like my toast. When I want to have toast. What kind of and how much toast I want to have. I don’t think I should have to buy toasters for everyone who may not even have a place to plug a toaster in or may not even like toast. Nor do I want to be told I can’t put bagels in my toaster – you get the idea. Continuing with the analogy, it is surprising how the details apply to centralized healthcare – it’s just the costs and consequences are a whole lot greater. [iv] How crazy is it to centralize control of every single healthcare step, line item, decision and cost – from brain surgery to tongue depressors – and put that control in Washington? What will be the added cost of implementing a system like this and what is the value that will be returned to the American People? This does not make sense nor is it even feasible that it can be done, let alone done well. Remember the three words: Cash for Clunkers. Look at how the Government managed this transaction simple program and now we want to entrust Government with our whole healthcare system – without so much as a Pilot Program. [v] With regard to Deem and Pass, in spite of how some like to characterize it, the fact is – there is “No Implied Waiver” when it comes to the Constitution; just because there was a wink, wink and a nod in the past, doesn’t mean we can now throw the whole Constitution in the trash. That would not make for a real stable foundation to build any Constitution based, civilized Society on. Come on! [vi] A note regarding Roman Numerals – an X means the Tenth Amendment NOT that it was crossed out and you can ignore it. [vii] We have touched on the consequences of implementing an untested hypothetical system on the fly, at a cost that is massive in terms of numbers and lost Freedom. Crazy! Change just for Change sake is crazy. Flying with a 14 year old as your pilot, based on the Hope things will be fine, that’s crazy. Politics are crazy but it is the responsibility of Politicians to navigate the craziness, think and make the Best Change! We are at a critical juncture in Our Nation’s history. The timer continues to count down. The Health Care System of the United States of America – is about to be Blown Up. It seems there is not a thing we can do about it. Only a small window of time is left. If the wrong move is made – it could mean disaster for all of us and we may never recover. As a Country, we have faced tough decisions before and we have done the right thing; I trust that the Issue before Members of Congress will be no different. I have known many good and wise on the wrong side of an issue and likewise – I have known those who are right yet hold the wrong intentions – let us put all that aside and discuss the matter that is before us. How we got here is most likely because we placed Our Trust in things untrustworthy. Proper placement of Trust is a discussion for another day. Suffice it to say that ice, thick or thin, looks much the same on the Surface. Though, once we hear a crack and find ourselves on thin ice – it matters not how we got there, but let us get back on solid ground. 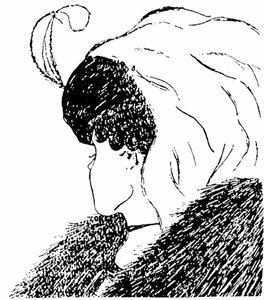 A simple way to explain how we are often lead astray, is to consider the famous optical illusion of the young woman and old lady. There are many other examples. Sometimes our mind locks onto one image and can’t see the other. This is called a scotoma or perceptual blind spot. A question to ponder is: How do we know that the things we feel so passionately about are the way that they seem at all – how do we know we aren’t missing something or being misled? We have to be aware of the tricks our mind can play on ourselves and also the tricks others play on us to get us to buy something, to cast our vote a certain way or whatever. Many involved in the Health Care Debate are suffering from an Evidentiary Scotoma – all the evidence is there but they do not see it. Even in our modern world, some will give up their very lives for the promise of a young woman or many – on the other side. Most haven’t considered: Why is it that those sending others on suicide missions, decline for themselves to go on the journey, if it is so great? What if a suicide bomber, moments before blowing themselves up, had the chance to see the Truth of what Really is on the other side? Seeing an old lady instead – what would they decide? To blow themselves up based on a lie? Of course not. The FOX Hit Show 24 – just had an episode where a suicide bomber learned the Truth and was trying to do the right thing, yet the race was on because, those with ill intent could remotely detonate the explosive vest. We too face a Critical Situation, where more of us are learning the Truth of what is actually in the thousands of pages of Health Care Legislation and yet the Control is not with us and time is running out. We don’t know how Democrats will proceed regarding the fate of Our Health Care System, Our Freedom and More. Specifically, do they vote Yes or do they vote No? Reconciliation, Deem and Pass, how will they vote, what will they do? The Truth is in their hands. Catch 22 for Wise Men (and Women). If they Vote YES: They face the wrath of many angry People, a protracted Court battle for Violation of the Constitution Article 1 Section 7 and/or usurping States and Individual Rights under the Tenth Amendment; they can expect many more angry calls and protests directed at them and their staff; likely no hope of future cooperation from Republicans; the passing of Legislation that violates their own Principles and that may never be remedied; the implementing of what is arguably an unworkable, unsustainable centralized solution that neglects to include, even the very basics of Real REFORM. If they Vote NO: Their career and possibly their whole public service life will be dead. They will not receive any Democratic support and they will be ostracized from the Party. Crossing over to the Republican side probably won’t work for them because of the real and fundamental differences between the Parties, even apart from the Progressive Movement. Voting NO also means, like the President has stated: Healthcare Reform will be dead for at least ten more years. I believe he is correct, in light of all the craziness that has surrounded this issue. In the end the People will lose the Real Reforms that we all want. On the Bright side, I believe as most Citizens believe, Killing the Bill means Our Country and Our Freedom get to Survive – though I realize this Truth is not shared by All. Sticking with our metaphors, Democrats do hold the power in their hands and yet how do we disable the explosive vest without the guys holding the remote detonator, finding out what we are up to? First of all, who are “the guys” on the trigger? They aren’t guys at all – it is the PROCESS itself that is Out of Control. And CONTROL is precisely what can used – to get Control Back. Don’t make any sudden movements, don’t press any buttons and please – don’t Vote just yet. First, we have to buy some time, there are many Right reasons for buying time: reviewing CBO numbers, needing time to Read and Review the many pages, wrestling with the Violation of Principles (abortion, special deals, other unacceptable language), Using a Questionable Method to Advance the Bill, thinking about the overwhelming number of negative (even threatening) calls logged from Constituents and Other people, having a Change of Heart or Anything else that fits and is real for you. It’s been said by the President that, if this legislation does not get passed – Health Care Reform won’t get done for 10 or more years. He probably is correct, but it doesn’t have to be that way. We should not Force the Wrong Solution, just to have a Solution – with all the Negatives that are attached. Why not put the Best Solution in Place? Where we are NOW is the Perfect place to make this happen. We ALL feel the stress of what is before us. Let’s use that stress to Force us to the Best Solution. How do we get there? WARNING: The count-down sequence will continue – if certain conditions are not met! Acceptable replacement Legislation must be drafted by a specified time – no Special Deals, no Federal Funding for abortion as a minimum, but then also including: those other things that most Agree are necessary for REAL Reform. When it is agreed that the Acceptable Replacement Legislation is drafted and voted upon – the critical detonator wire will be Deemed as being Cut and the Bomb will be diffused. We will then have the Real Health Care Reform that we want and We the People inside and outside the Beltway will be a whole lot happier. We are up against the Clock here – let’s get this done! The President and Democrats claim they are attempting to Solve the Problems of Our Nation – yet the Solutions they Propose are: at a minimum misdirected or More likely the most Abuse of Power Our Nation has Ever Seen. Where and why they are Wrong involves Six MisSteps they have made. These MisSteps are being taken with Health Care Reform but also Cap and Trade and their Other Agenda Items as well. This Article describes their Push of Gov Run HC upon us. Why they are fixated on Health Care I don’t know, but Ronald Reagan gave us a clue. Before we get to MisStep #1 A Faulty Foundation – we must first address The Swamp. You know the Swamp: the one Democrats were to drain and replace it with Pristine Waters of Honor, Integrity and Transparency. Well as others have noticed, the Swamp is overflowing and it is as Stinky as ever. How can you build a strong foundation on that? We know what’s Best for you People who are uneducated and unaware – the ones we ignore; You are incapable of managing your own life and you need Control, Guidance and Sustenance from us. In other words, THEY are the Power Brokers – the Resource Gatherers, Keepers and Allocators. In their Arrogance, they Even put Themselves Above their Own Rules, Regulations, Laws and Despotic Controls – that they Seek to Impose on Others. Building on that, it’s no wonder their approval is so low and they have so little to show. Hold your nose and let’s take a few missteps through the Stinky Swamp. MisStep #1 A Faulty Foundation. A Forced Hostile Take Over of Our Entire Health Care System, Restructuring it under a Massive Layer of Government Bureaucracy, Autocratically Administrating it from Washington, Mandating what States and Individuals Must Do, Controlling the Most Personal aspects Our Lives, Subjecting the Delivery of Our Health Care to the Limitations of the Federal Budget and All Based on a Set of Regulations that they themselves are Exempt. Can’t we end the Article Here? Their goal is NOT to REFORM Healthcare – as to improve or optimize; Their goal is to REFORM it – as to REMAKE it Entirely. And they’re DOING IT on the FLY. Like Cap and Trade they started with a False Premise, a Faulty Foundation and they figured they’d fill in the Data and details as they went along – trying to make their behind closed doors, concocted Dream a Reality. The Basis for their Whole System does not make Sense. It is not feasible. It is not workable. It is not possible. What Structure is Required to Connect All Residents (legal and illegal) and their Bank Accounts (for those who have them) to Washington, DC? One-sixth of Our Nation’s Economy will flow to DC where they apply their Controls and then they Decide where and when to send $ out. What are the Number of Line Item Transactions Involved in Our Health Care System? Each line item has multiple and many steps involved and to process, in order to proceed to the next item. Three words to Consider: Cash for Clunkers. Is Government even Capable of running HC at all? There’s no time to ask that – they are too busy trying to SELL IT. #PNP4USA b/c – Who else will be there to Rescue and Rebuild after Natural Disaster strikes? #PNP4USA b/c – Who else will Lead in Defending other Countries from the World’s Tyrants? #PNP4USA b/c – What would Our Founders say about what We did with what They Entrusted to us? #PNP4USA b/c – Where else could Canadians and Others go to receive the very Best Health Care? #PNP4USA b/c – Where else could we, after complete Failure and Financial Ruin, go to Start Over again and Succeed? #PNP4USA b/c – What Country would Haitians and Cubans, risking their lives, be able to set Sail to? #PNP4USA b/c – Where else could Illegals go to Earn Money to send back to Support their Families? Actually Progressivism is solving our immigration problem – all illegals are going home on their own because the economy is so bad. But wait – when they learn they get free healthcare, they’ll be back! #PNP4USA b/c – Why should States send ALL their Money to DC just to get a few Crumbs and a bunch of Mandates back? #PNP4USA b/c – Why don’t Future generations deserve at least the Same Opportunity We have (or used 2have B4Dem Insanity)? #PNP4USA b/c – Why should we take away the American Dream for ALL just because Some (or even Many) are not living the Dream 4Themselves? #PNP4USA b/c – Wasn’t the Statue of Liberty sent to us 4 a Reason? Should we send it back and turn Ellis Island into the new Gitmo? #PNP4USA b/c – Didn’t Ronald Reagan say, “America is too Great for small Dreams” ? #PNP4USA b/c – If you don’t like the System here, aren’t you FREE 2 LEAVE?